Recently I created a Heroku account and followed Heroku's guide on setting up and deploy a NodeJS app. Their step by step guide was great and very helpful. 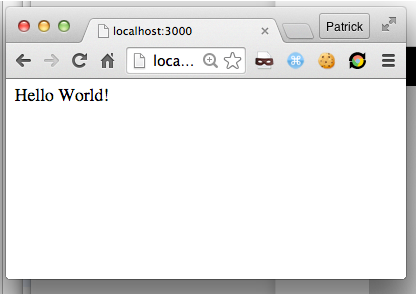 I got my hello world app working. Now that I have gone through the guide I want to start from zero. 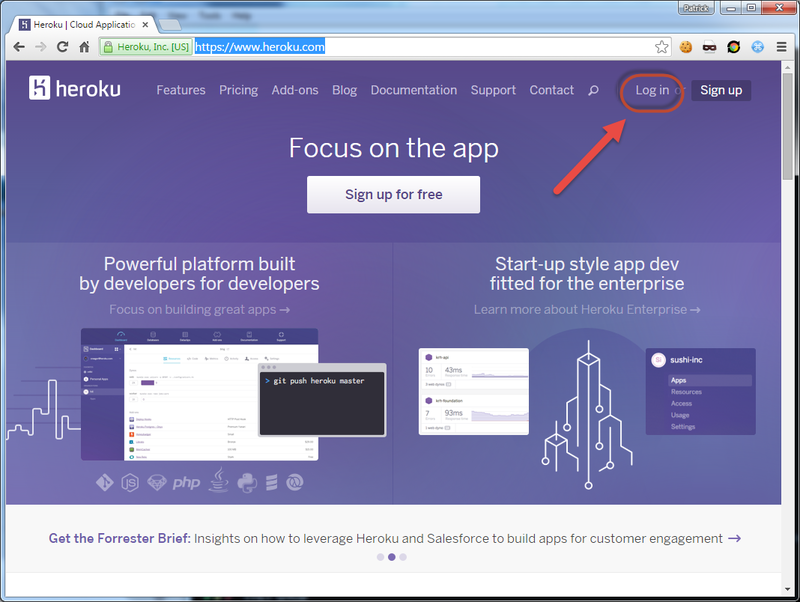 I want to create a simple NodeJS express app and push it up toHeroku to run. My app is still installed from last time. Click on the app to open it. Click this guy to open the Application. 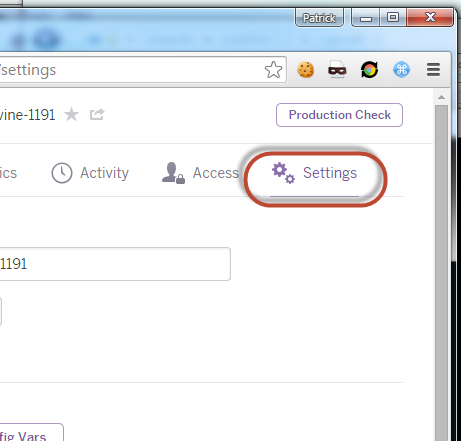 Going back to the first screen I can see the app is now "Awake"
Click on Production Check. There is some good info there. Like that you need more than 1 server to have it not go to sleep. … How do I remove this app so I can start clean? Enter the apps name, which is shown on the top, click Delete App. Reloading the page results with this message "No such app"
I am going to create a very basic Express app using TDD (Test Driven Development), save it to a git repo and push it to a git server I have. 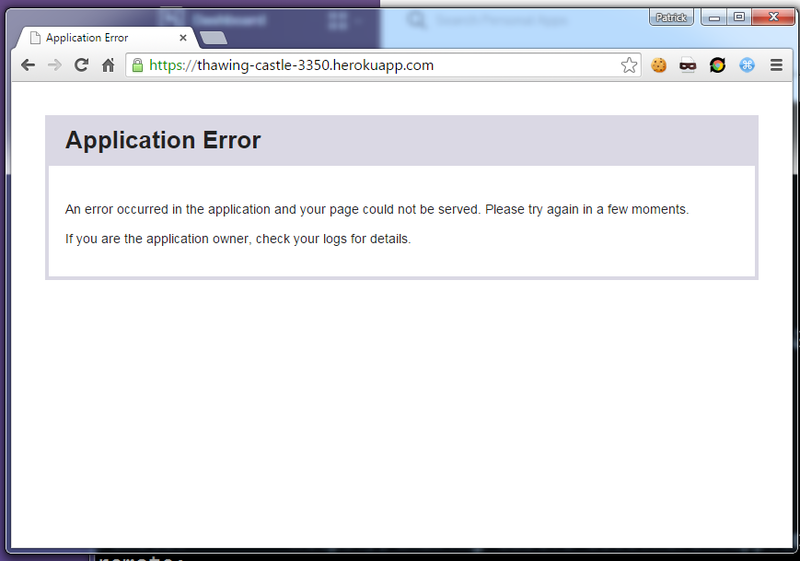 Then I am going to figure out how to push it up and run it on Heroku. 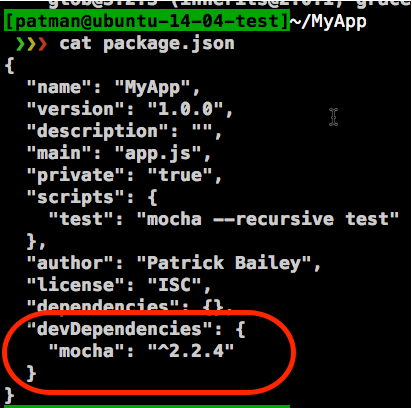 I am going to use mocha and chai for TDD (Test Driven Development). 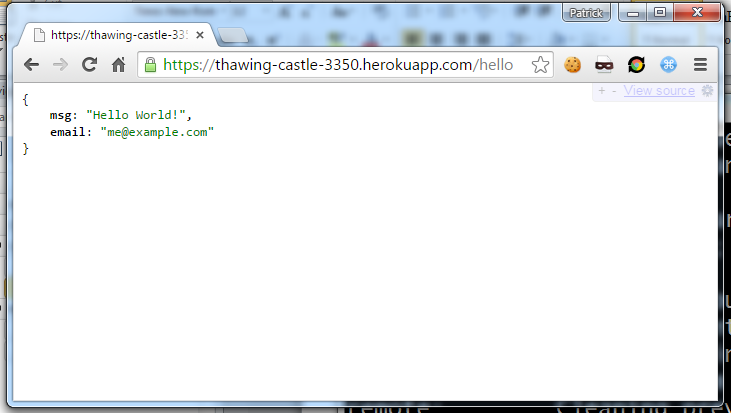 I am still getting used to Node and npm so I may do this next part wrong, but I am trying my best to get it right. It creates the node_modules folder, if it does not exists, and downloads the mocha libraries and its dependencies. But it does not update the package.json file. Since it's not in the package.json, as a dependency, when someone else gets my app and they run "npm install" they won't get this module downloaded. Then I can run it from the command line. Of course I would then need to make sure whoever runs my test script also has it installed globally. That installs it in node_modules and updates package.json with mocha as s dependency. Saving the module does not seem the way to go for a module solely used for testing. Mocha and chai are modules I don't want to deploy to production. What do I do? Mocha has been installed locally in the node_modules. 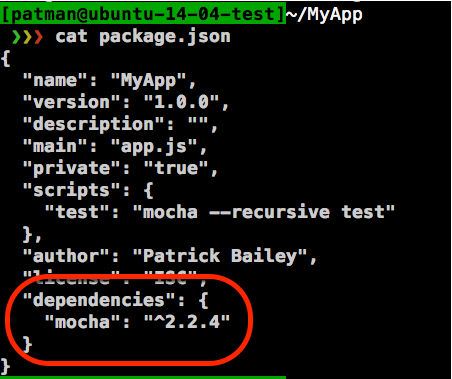 I get back mocha in npm_modules… ? If you want Production only, ie no devDependencies, you need to run npm install --production (or you can set the NODE_ENV variable to production). Since that was my only dependency I don't download any modules. OK, those explanations helped me a lot to understand what is going on. With that in mind I think it may be a good idea to create a server.js file that is my start up file. Open up http://localhost/:3000 to see if it's working. 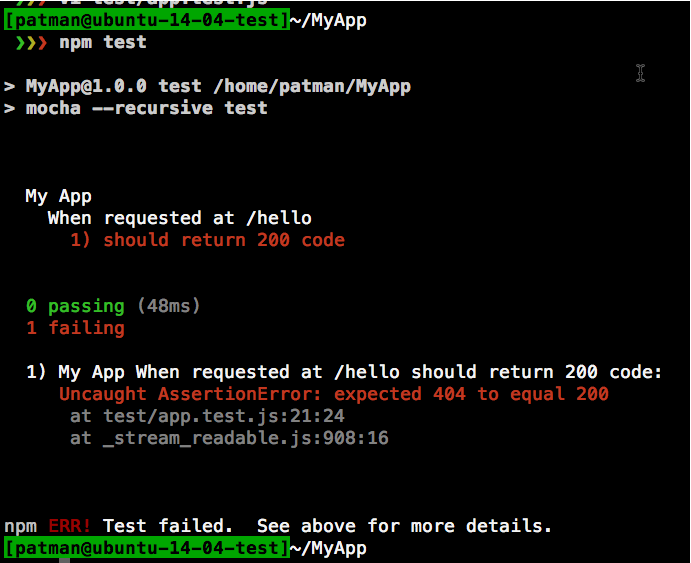 Now that I have express and the test basically running I want to do a little TDD. 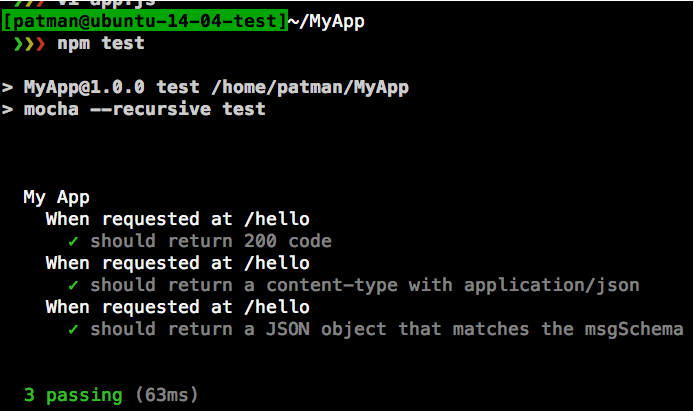 To check if content-type contains "application/json" update the test code to the following. 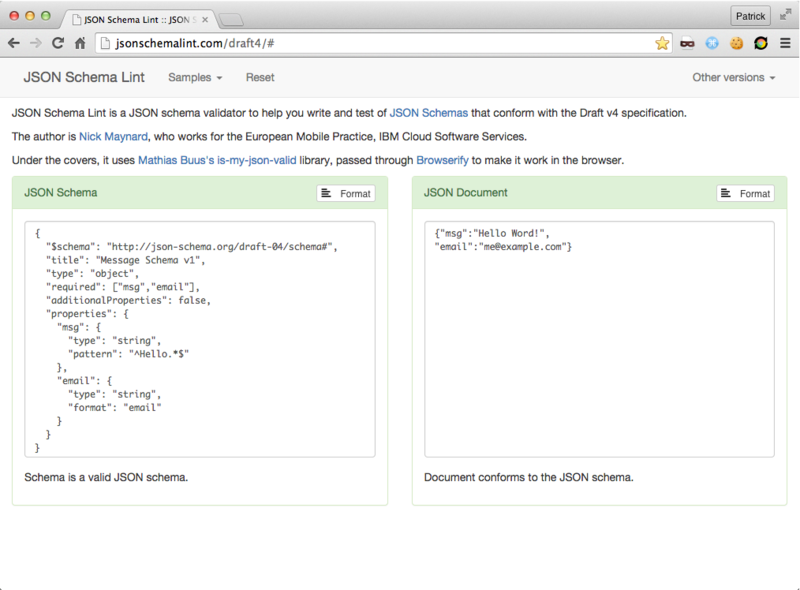 A JSON object that matches a given schema. 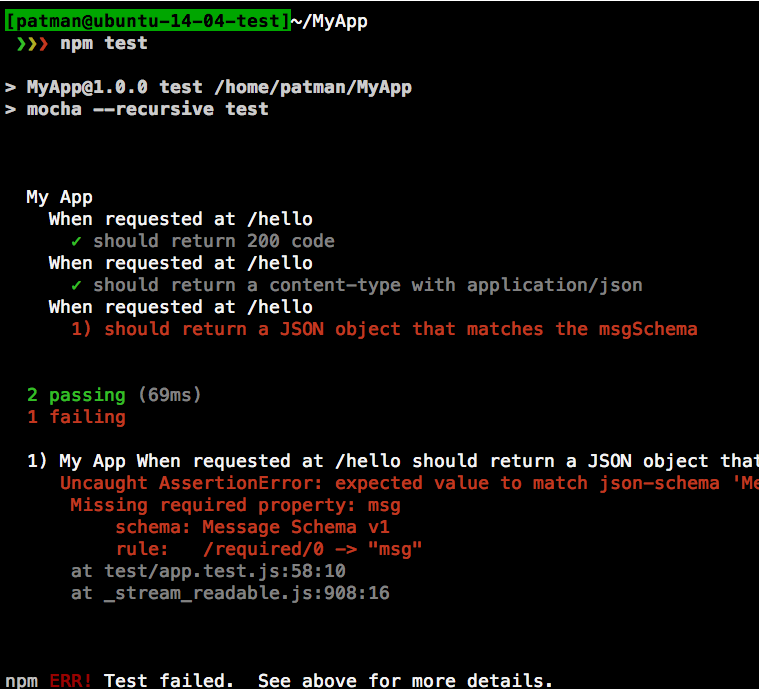 I am going to test my JSON against a JSON schema to prove it's valid. This schema requires two properties "msg" and "email". 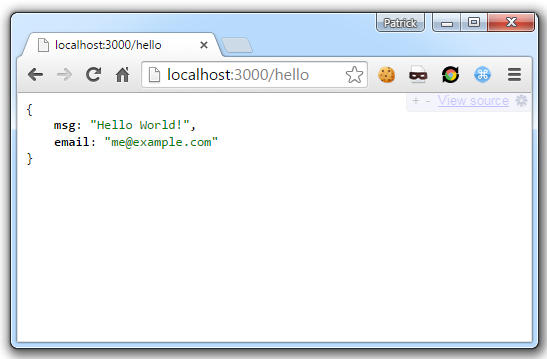 "msg" is a String that starts with "Hello"
To test it out go to http://jsonschemalint.com/draft4/#  and paste in the schema and fiddle around with the message to get a valid version. To create a test for this I need a chai plugin called chai-json-schema… Actually you need chai2-json-schema.. the original project has not been updated to work with chai 2.x. 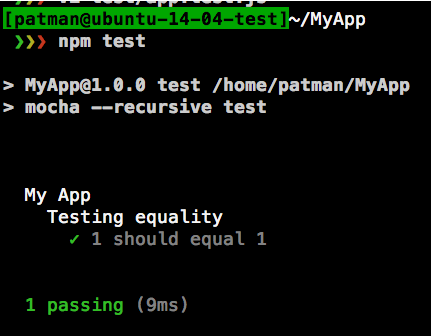 Update app.test.js adding a test for the schema. 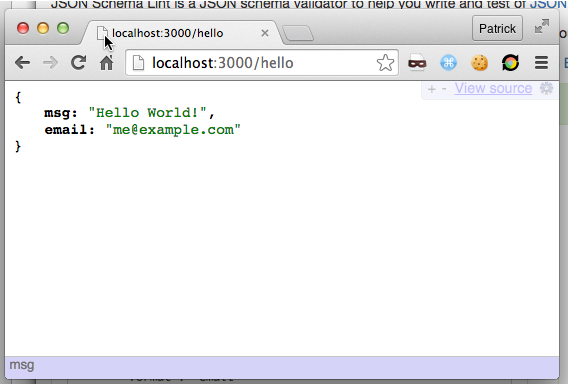 Edit the /hello function with a schema valid JSON object. 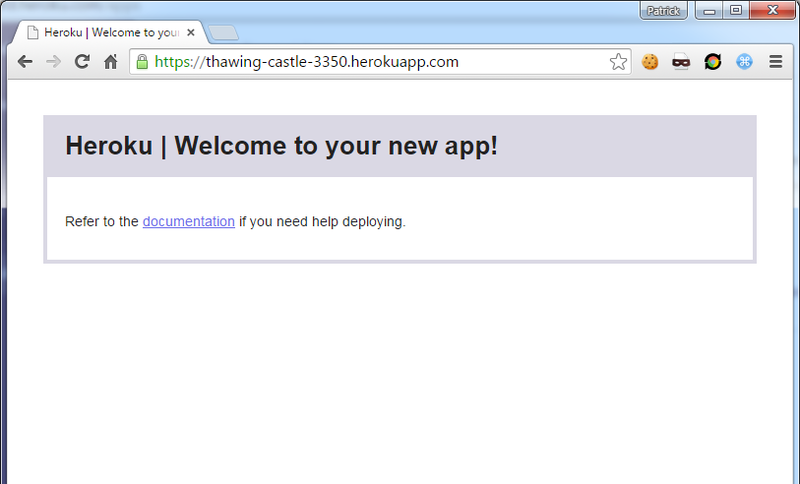 After I get all that done I will figure out how to push the app up to Heroku and get it running. I have my own git server at home. I am going to create a bare repo in it, add it as a remote to this repo and push it up. 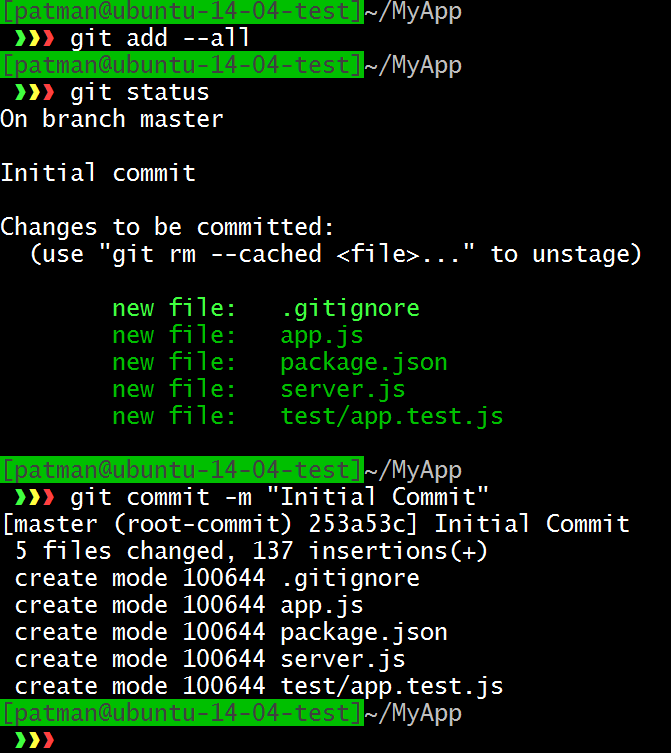 From my git server create a bare repo. Now back to your local machine …. Push and set the upstream to origin master. I always like to make sure I can pull this back down again. 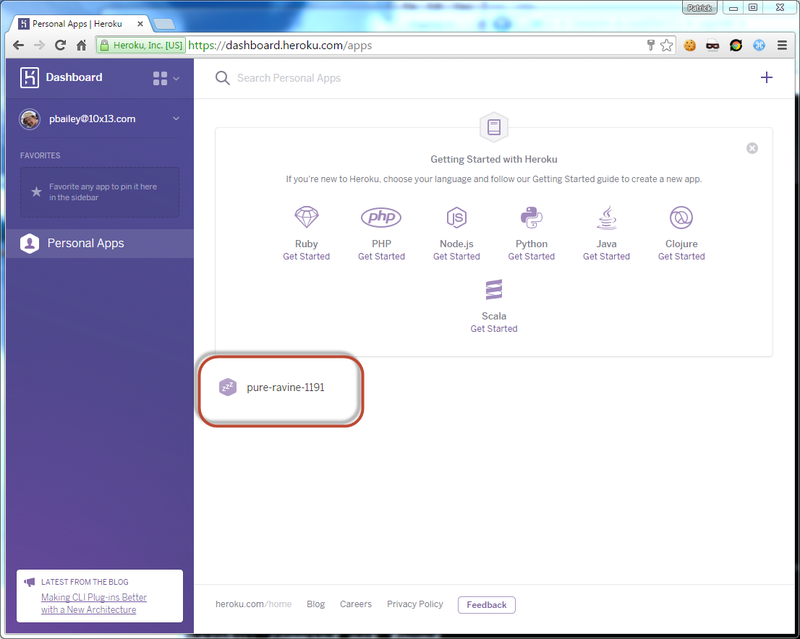 I have a working Express App and I want to push it up to Heroku. How do I do this? Can I do it all via the command line. 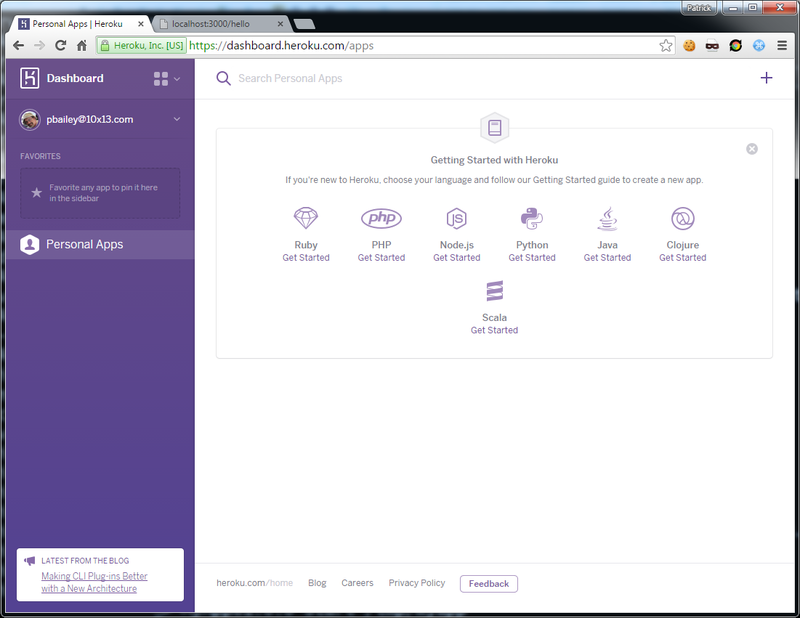 Looking real quick at my Heroku dashboard. I have no apps running. 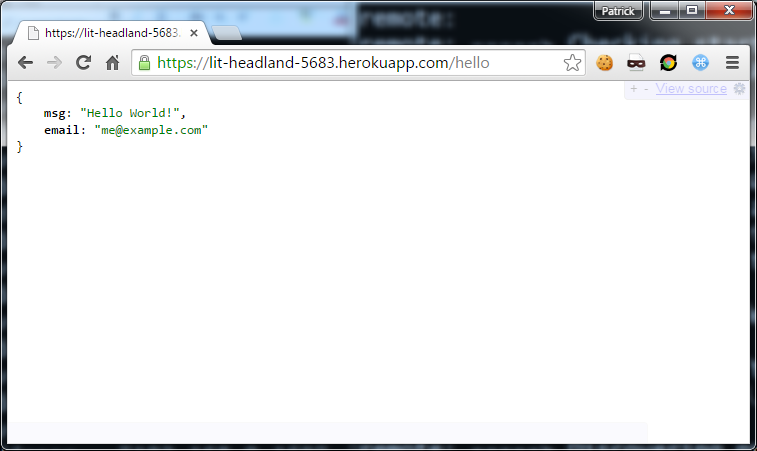 From the command line use heroku to test what apps you have. No apps running, hey look an update is available to the toolbelt. Update the toolbelt (if yours is out of date). Looks like that does not work…. 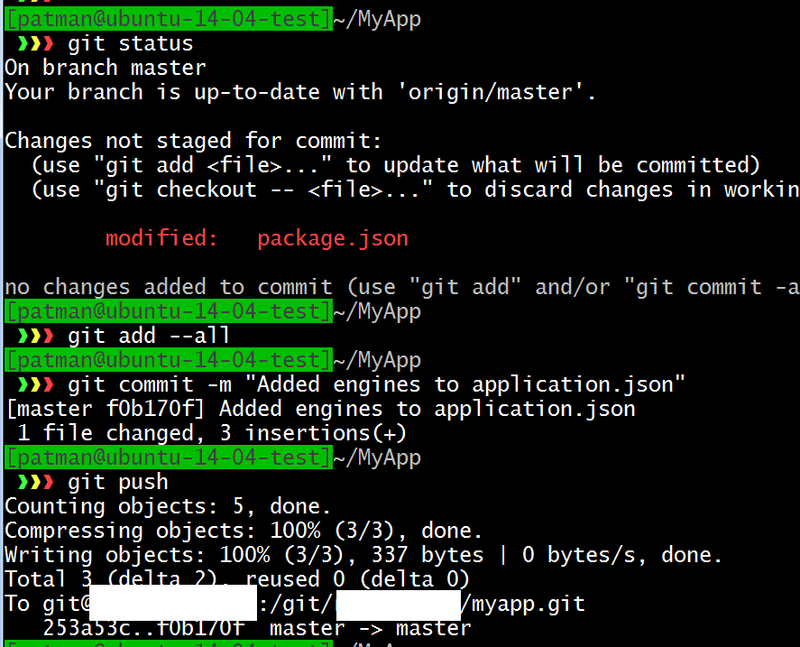 > git commit -m "Added engines to application.json"
Ooops I need a Procfile! …. Oh wait I don't need one?? If you define scripts.start in your package.json file, you don’t need to manually create a Procfile because it will be created automatically. 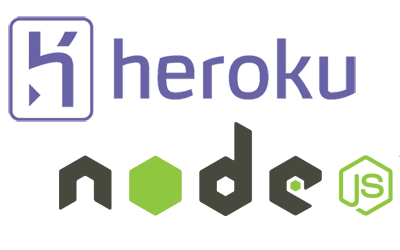 For more information, see Best Practices for Node.js Development: Specify a start script and Heroku Node.js Support. 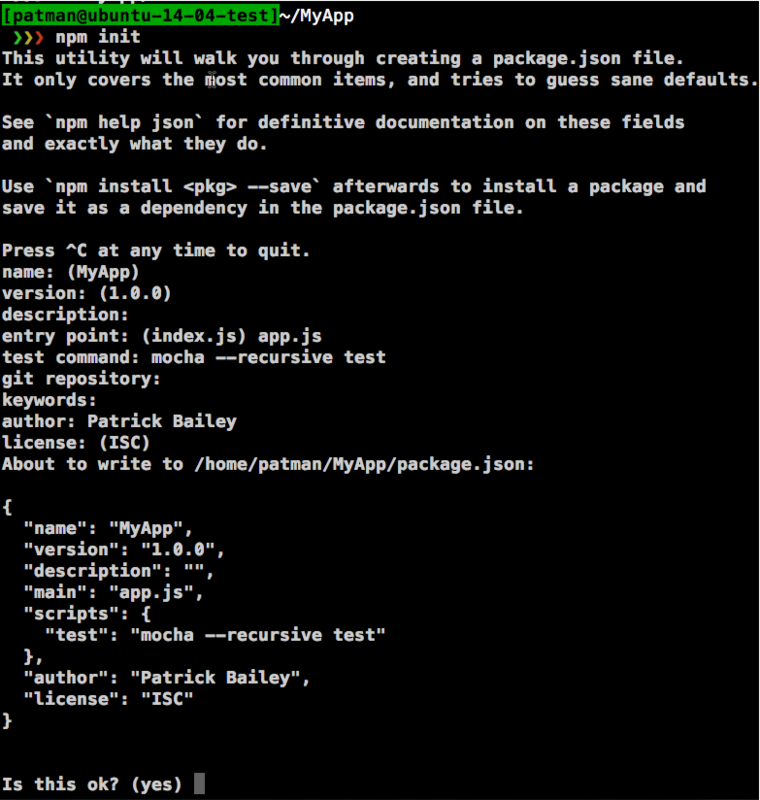 I do have a "default" start script in package.json… Maybe foreman needs this to be explicit? I updated my package.json to the following. Now use forman to run it. Maybe it needs the Procfile locally to run foreman. 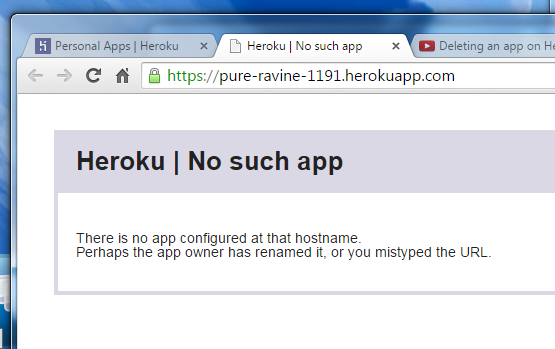 But it does not need it to run when you push it up to Heroku? And the web app works locally. 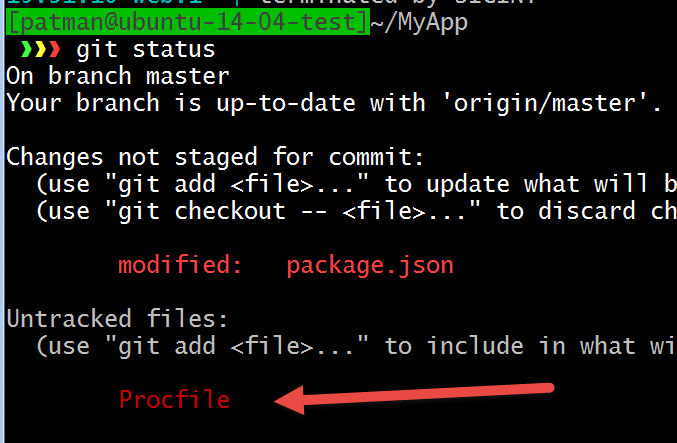 If I don't want this file added to my git repo I need to add it to the .gitignore file. There is the Procfile I don't want. 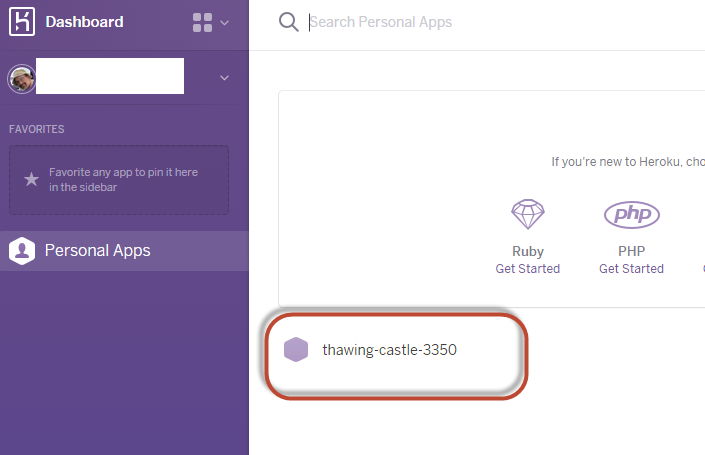 > git commit -m "Ignoring Procfile"
At https://thawing-castle-3350.herokuapp.com/ and it already created an empty repo for me at Heroku. 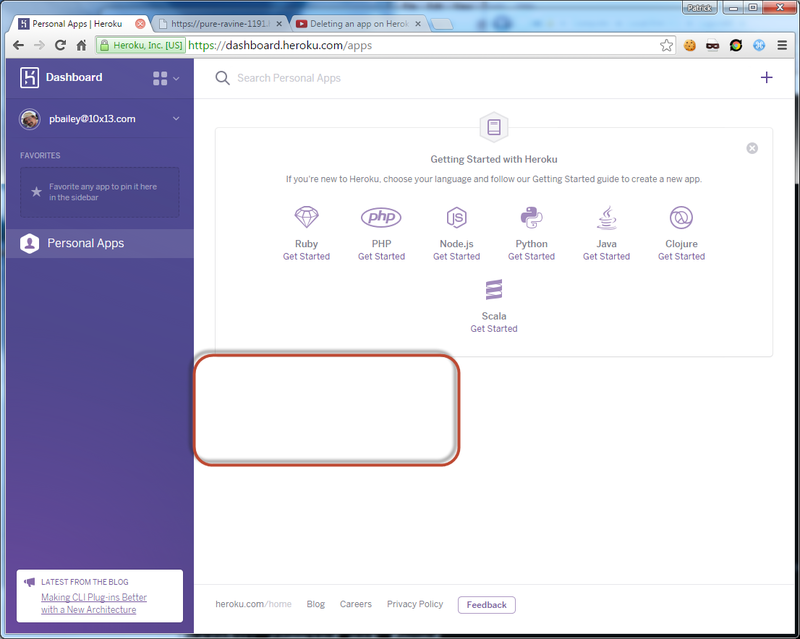 Looking at my Heroku admin interface I can see there is an app there. I see that I have an empty app. 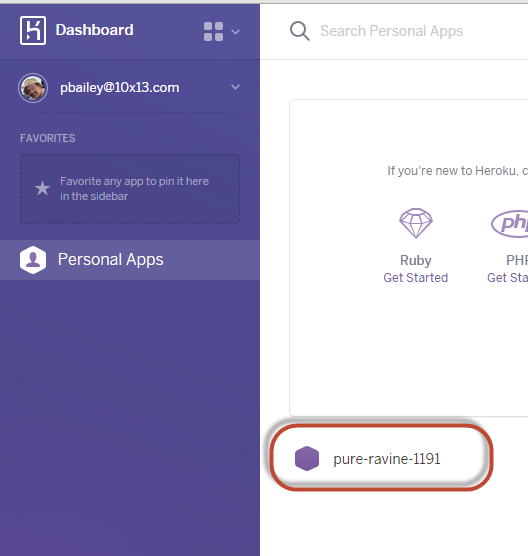 Looks like it added the Heroku remote, nice! Looks like all I need to do is to push it up. That way it'll still listen to port 5000 when you test locally, but it will also work on Heroku. OK, so I can't set a static port! 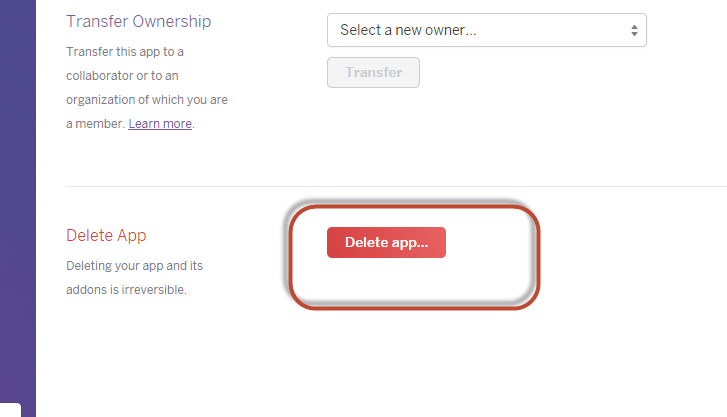 Let me add it, commit and push it to my git server and then to the Heroku server. 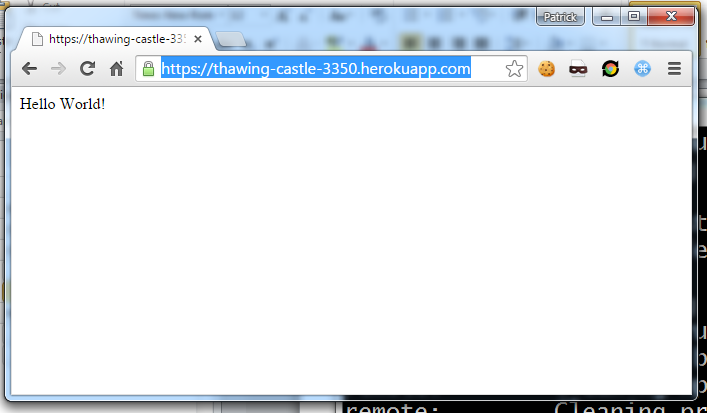 > git commit -m "Added process.env.Port for Heroku"
Nice, it has a double check. You need to type in the app name to destroy it. 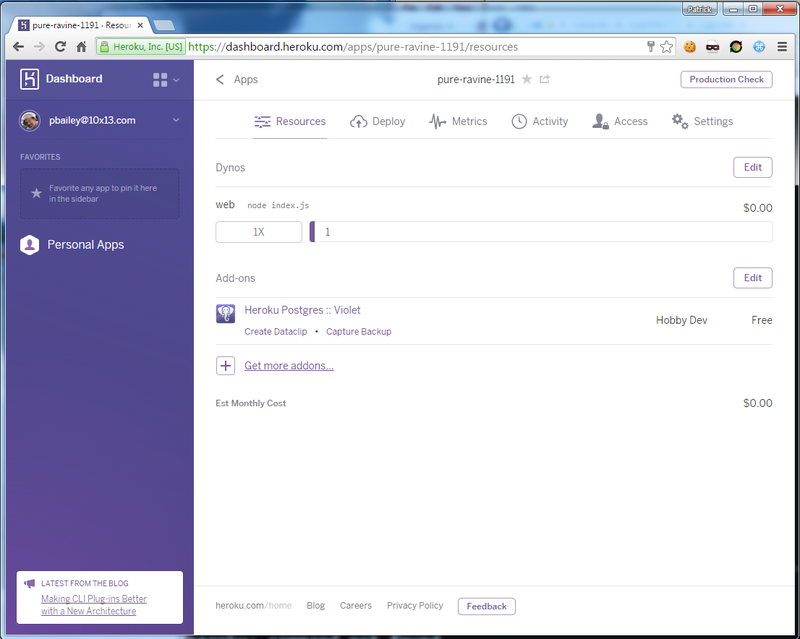 Now that I know what I am doing, let me go to another server, clone my app from my git repo, create an app in Heroku and try to push it up. OK I see now ! 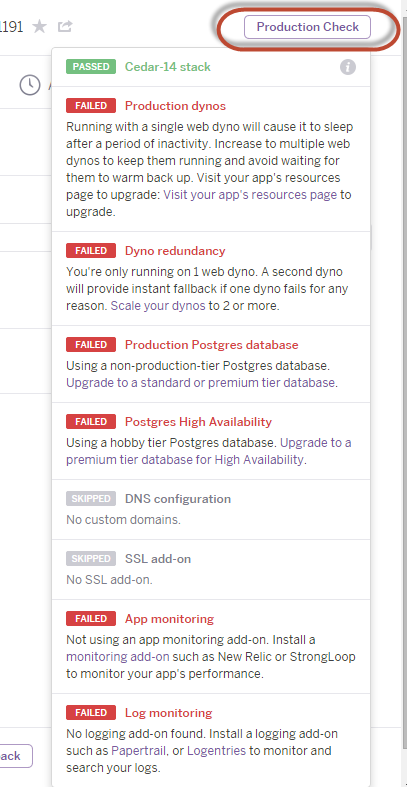 Not a bad deploy process Kudos to the folks at Heroku!